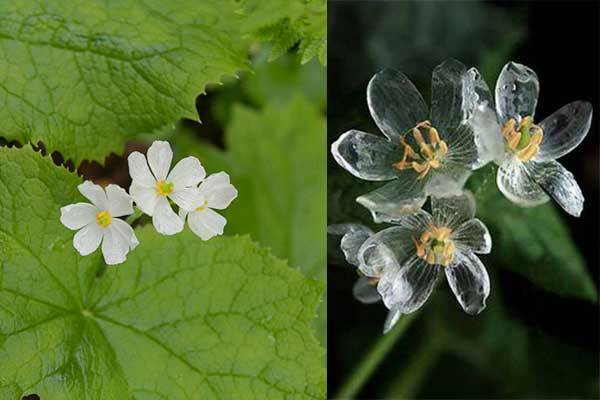 The Diphylleia Grayi flower is also known as the Skeleton Flower and while at first glance it may appear an ordinary bloom, there is actually something quite extraordinary about it. This rare flower’s petals are usually white, but turn translucent (their “skeleton” form) when exposed to water. Being completely clear and of striking, glass-like beauty while wet, they turn white again when they dry off. 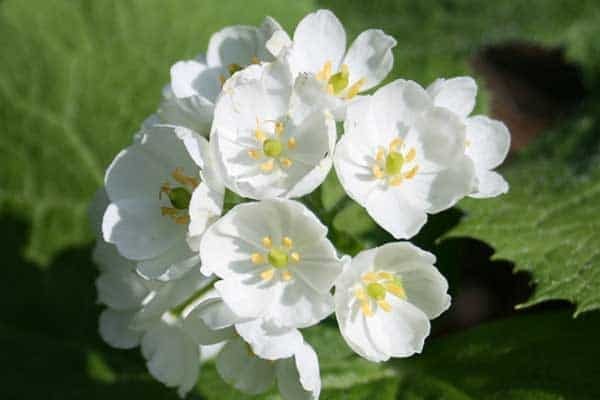 Found in only three locations in the world, the flower hails from the moist wooded mountainsides in the colder regions of China and Japan, and within the United States’ Appalachian Mountains. It grows to a height of 0.4 metres and up to one metre wide. In addition to its transformation capabilities, the flower is also recognized by its large, umbrella-like leaves and bright green and yellow centers. For some cool flower time-lapses, be sure to read The Explosive Blooms of the Echinopsis Cactus Flowers.